Congratulations to Kyle Fink, P.E.! Mentoring the Engineers of Tomorrow! Pennsylvania’s Department of Environmental Protection is trying to raise awareness of the importance of stormwater pollution prevention. Click the link below for ways you can prevent stormwater pollution in your area and become stormwater smart! http://ow.ly/Q7xr30fgVlt. Kelly & Close Celebrates Robert J. Snyder! 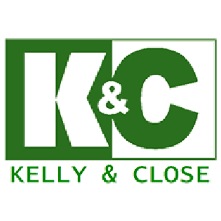 Kelly & Close Engineers is determined to provide its clients with the highest level of engineering services in the areas of municipal consulting, private land development, wastewater resources and land surveying.